Social networks need no introduction. Be it the Facebook, Twitter, LinkedIn, Google Plus, etc. We have all been there, done that. Though initially developed as a platform to connect people and giving them a chance to share with their friends and families, these platforms have now grown into full-fledged marketing mediums. The large communities of registered members become your audience and the networks become an integral form of marketing for your practice. With social media numbers exceeding hundreds of millions, these are indeed a Godsend for healthcare practices, a free yet powerful marketing tool. However, there are certain guidelines that you must follow to ensure that your practice gains some recognition amidst fierce competition and rivalry. Here are 7 essential commandments that all healthcare practices must follow if they want to get noticed at social networks! Just like you need to communicate with your family members, your spouse, your friends and peers, you also need to communicate with your contacts. They have done you a favor by liking your page, allowing you into their circle, or accepting to follow your tweets. If you don’t get in touch with them, you’ll be missing a great chance. People will eventually lose interest in a practice that gives nothing in return – not even some words. Don’t take your constant promotional messages as communication; in fact too many messages meant solely for self-promotion can be a huge turning off point. The art to communication is to stir interest, create intrigue, and prompt people to think. Create opinion or voting posts; ask people questions and give them answers. You can try to engage others in communication, add videos, an article or simple tips. Be creative in your communication. Try coming up with content that patients & potential patients would like to share with their friends and peers, thus bringing in more potential patients for your practice. Don’t stay away from your practice profile for too long. Keep sharing interesting content once in a while and let those connected know about the progress of your practice or anything else happening in your field. Create a bond with your audience and ask them for opinions and suggestions over what they like or dislike about your practice. Pamper patients who are A Grade patients. If you don’t stay updated with the latest happenings in your field, followers may disqualify you as a competent practice or professional. Always stay updated with latest news from your field and make sure you are keeping them updated as well. Be a keen observer and bring up news for your patients & potential patients. What advantages are you providing to patients & potential patients for joining your practice page and connecting with you? If you get a little creative, you can offer a lot to your social contacts, you can invite them to participate in a discussion or competition. This will allure the people to contribute and share, as a result bringing in potential patients. Providing benefits to patients & potential patients on a social platform is a definite boost up for your practice. The more content you can share, the more you will be able to yield from social networks. But writing is not limited to writing articles and sharing, it can be a simple thought or opinion on some latest development/research. Entice readers to comment and share their opinions and view-points. Add informative articles or blog posts to your website and share it on Facebook, Twitter, or Google Plus and whenever possible, create press releases. You will have to improve your writing skills, the more you do the more you will be able to engage prospective customers. Many people are not keen of reading long articles; they are more interested in photos or videos. Upload any interesting video related to your field, or share pictures of your practice. People need to know the face of the practice. This is one way they will feel connected to your practice. 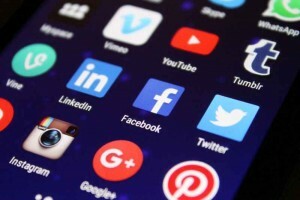 Staying active on social media can result in traffic, credibility, as well as patient loyalty for your practice, but only if you are doing it the right way.